Spring racing is here. And while ‘the punt’ is a very different pastime to investing in big league commercial property, success in both investments come down to a few very important factors. Commercial property investment doesn’t have to be a gamble if you follow the right advice. So, here are some tips to give you a better chance of picking a commercial investment property winner. Do you understand market conditions? Race officials probably wouldn’t let you walk out on the track and inspect how firm the ground is. But if you know your horses well, what could influence your bet at the races is the strength of the wind, the amount of rain that’s passed and how many races have run that day. These are known as race day conditions. There are thousands of them. Commercial property investors have the same number of yardsticks at their disposal to help measure where to place their funds. For instance, economic indicators will give plenty of signs to gauge how the property market may run in the coming years. Wages go up, people spend more and the value of goods goes up – including property prices. Tenants are the jockey of property values and yields, so you should also study the commercial leasing market to help you find an ideal asset. For example, seeing a lot of empty premises will impact your buying decision. High vacancy in a particular segment will indicate less tenant demand at that point of time, but that’s not necessarily bad. If vacancy rates are dropping, then it could mean demand is making a comeback. So, check the track your investment is running on by understanding its market conditions. Have you analysed the property information? The gentlemen and ladies you’ll see at a race course’s bookies pavilion, scribbling over folded newspaper like they’re solving mathematical equations, aren’t using luck to steer them toward a winning horse: They’ve studied the form guide, and are giving themselves the best chance of success by analysing the information at hand. The same approach will help property investors. These days there’s no boundary to the amount of commercial property data available to you. You can check news articles on any reputable publication, sign up to CoreLogic for robust sales histories, study the market on realestate.com.au or many of the other property sites, or take the traditional route and talk with local property experts. Once your data is compiled, learn how to analyse it. It’s one thing to be saddled on a horse, but the challenge is knowing how to ride it. Can you mitigate commercial property investment risk? Betting responsibly is about knowing your limits and being prepared. Smart punters at the track will only bet what they can afford to lose and will understand the risks of long odds. These sorts of gamblers won’t bet the keys to their house. 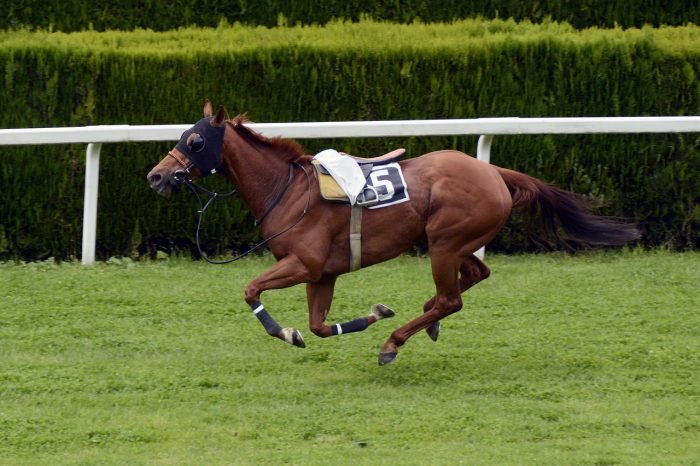 While smart commercial property investors will leave less to chance than someone betting on racehorses, similar traits are shared by the two types of yield-seeker. Possibly the single most important task ahead of a commercial property investor is Due Diligence. Talk with existing tenants (because a tenant will be itching to point out anything wrong with their premises). When investing in big league property, investors will look to the bank for leverage. There’s nothing wrong with that, and in fact it’s wise to see why banks are the best partner you’ll find. But crucial to mitigating risk is knowing your ability to service any loan you need to repay. Being a good client of the bank means having reliable tenants, with robust tenant covenants and lengthy lease terms. Finally, leverage your own or someone else’s property experience. Horseracing experts will say the same about fillies: practical knowledge will help you pick a winner. Which asset class should you target? 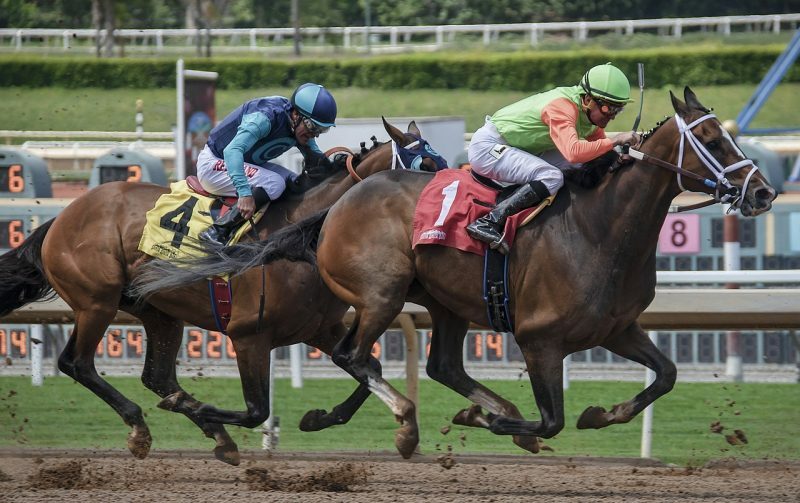 As if a bet on race day wasn’t confusing enough to first timers, there’s a field of different betting categories they could have a dip in (whether Maiden, Handicap, Open or Welter). But most important is knowing the different betting strategies involved in each. Each asset class comes with its own unique investment strategies. For example, if consumer sentiment is down, then you might reconsider purchasing retail stock. But at the same time, if you notice job advertisements for white collar workers are growing, and there’s a lot of activity in a city’s CBD, office properties might be a better bet. Understanding market conditions (see Tip 1) and analysing the available data (see Tip 2) will help you with the selection of an appropriate asset class. The rest can come down to experience. Should you invest individually or in a syndicate? Straight bets, quinellas, perfectas or trifectas? You might have the same amount of cash to invest in each but, depending on the race, the outcomes are going to be severely different. It’s on par with how you put your money into commercial property. You can choose to do it alone and reap most of the rewards yourself. This way there’s no need to split your winnings and you can make all the decisions yourself (when to buy, what tenant to target, whether to improve the property, and when to sell). But investing alone comes with cons. You’ll have to do the research yourself, understand what property is a good bet and find the time to accrue this knowledge. And the size of your payout and cash flow will be a direct relation to the size of your outlay. You could also invest with friends, so that you can pool funds together for a bigger bet. But again, unless one or some of your buddies have the property knowledge and the time to study endless amounts of data, your investment could be a gamble. The other option is to join a syndicate. Typically, individuals may not have the funds to take part in commercial assets of a substantial price bracket. Or those with the means to invest may not have the time or patience to do so. This is where commercial property syndicates in Australia have grown massively in popularity. Professional commercial property syndicates are usually run by experts with solid experience in picking property winners, meaning you don’t have to leave success up to chance. If you’re interested in finding out the benefits of investing alongside professional commercial property investors, get in touch with us today.